It’s a refrain being heard all too often from hoteliers in the wake of recent events, from the wildfire inferno in California to the hurricane-generated floods in Texas and Florida to the Midwest’s tornadoes and the storm devastation that has the island territory of Puerto Rico still reeling. 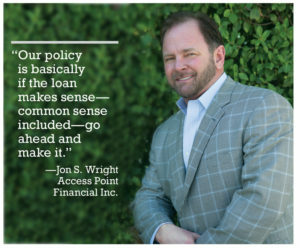 So when it came time to strategize against the events and various scenarios cropping up over the past few months, Jon S. Wright, chairman/CEO of Access Point Financial Inc., opted for a path that could produce the most good in the shortest time: providing recovery capital within 24 hours. “We look at how we can benefit our clients more than simply being a commodity. I’ve always said, in our business, lending money isn’t so difficult; people know the cost of money. It is a commodity, so it’s not as gray an area as with other suppliers into the industry or in the industry, for that matter,” said Wright. The CEO noted he and his team were talking about the company’s philanthropic efforts, such as with the American Red Cross, the American Cancer Society and others, when the question was raised how to help clients during tough times. He sees the current Access Point Financial recovery capital program as almost a rewind back to those S&L times in terms of helping hoteliers. “I’ve kind of surprised myself that we didn’t think of it sooner, but it’s taken on a pretty good bit of popularity,” said Wright. 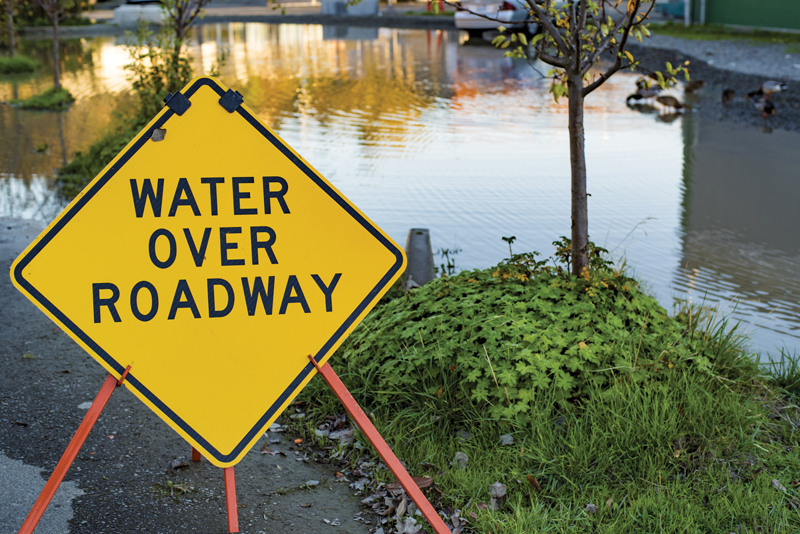 The executive stressed that the company is committed to helping hoteliers rebuild after damage from recent disasters, particularly hurricanes. With the tagline “Let’s rebuild together,” the recovery capital program offers six months of no payments and 12 months of interest-only payments. “In the past, and still today, we will provide seasonal-type of payment plans for clients who are in seasonal areas—beaches, ski slopes, whatever the case may be—that they need to build into their debt obligations. We help them with that. So this is really not different,” he said. Access Point Financial’s recovery capital program aims to help hotels that are hurt by natural disasters. Creditworthiness is among the criteria the company, which issues some 250 loans a year, is taking into consideration for those seeking financing via the recovery capital program, although Wright said there’s flexibility. “We can manage around issues that a client can explain to us in simple terms; we’re flexible in that regard,” he said. In terms of collateral—or the lack thereof given destroyed properties—Access Point Financial is typically securing the FF&E being replaced. As for the size of the loans, Wright said he’s seeing a range anywhere between $50,000 to $15 million. “Our loans in ‘normal days’ are typically $250,000 to $25 million, and that’s new-construction included in that $25 million,” he added. Interest rates mirror those on typical transactions and are in the 7-9% range, trailing down if Access Point Financial has the senior debt on the entire asset versus a secondary sliver in the capital stack, which is typically the case. 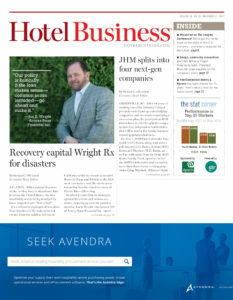 Right now, there’s no particular pattern of segment type seeking the financing, although Wright observed there haven’t been many requests from full-service resorts. “Primarily, the dollars we deploy are found to be most viable in select-service assets, tertiary markets. But again, we’ll see some urban requests that come in from the inner city and from the MSAs that we sometimes don’t see because of the nature of the principal behavior of those types of assets. The banks want to make those loans, and typically, you have a senior loan in place already, so they would be the likely candidates to make any type of a bridge loan until some insurance proceeds were consummated,” he said. Overall, said Wright, the recovery capital program is in line with company policy. “And our policy is basically if the loan makes sense—common sense included—go ahead and make it. We would certainly entertain this type of a loan for anyone calling up and explaining a situation they wanted us to help manage,” he said.